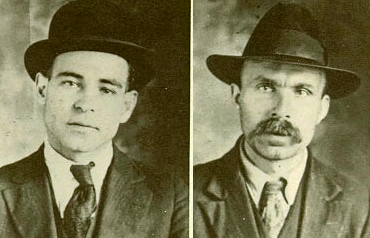 Sacco and Vanzetti: for a generation of Americans, the names of the two Italian anarchists are forever linked. Questions surrounding their 1921 trial for the murders of a paymaster and his guard bitterly divided a nation. As the two convicted men and their supporters struggled on through appellate courts and clemency petitions to avoid the electric chair, public interest in their case continued to grow. As the end drew near, in August 1927, hundreds of thousands of people--from Boston and New York to London and Buenos Aires--took to the streets in protest of what they perceived to be a massive miscarriage of justice. Sacco and Vanzetti were executed on August 23, 1927, a date that became a watershed in twentieth-century American history. It became the last of a long train of events that had driven any sense of utopian vision out of American life. The workings of American democracy now seemed to many Americans as flawed and unjust as many of the older societies of the world, no longer embodying any bright ideal, but once again serving the interests of the rich and the powerful. American intellectuals were powerfully moved by the case. 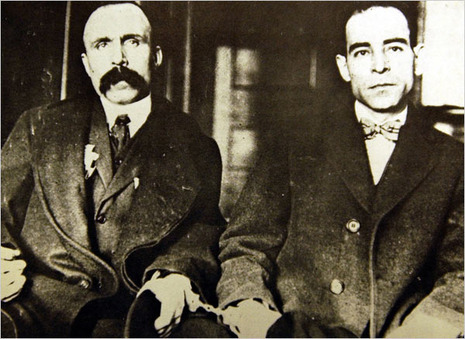 Ferdinando Nicola Sacco (April 22, 1891-August 23, 1927) and Bartolomeo Vanzetti (June 11, 1888-August 23, 1927) were anarchists who were convicted of murdering two men during a 1920 armed robbery in Massachusetts. After a controversial trial and a series of appeals, the two Italian immigrants were executed on August 23, 1927. There is highly politicized dispute over their guilt or innocence, as well as whether or not the trials were fair.The dispute focuses on small details and contradictory evidence, and historians have not, as of 2010, reached consensus. Sacco and Vanzetti were accused of the murders of Frederick Parmenter, a paymaster, and Alessandro Berardelli, a security guard, at the Slater-Morrill Shoe Company, on Pearl Street in Braintree, Massachusetts during the afternoon of April 15, 1920. Vanzetti was further charged with the theft of $15,776.51 from the company. 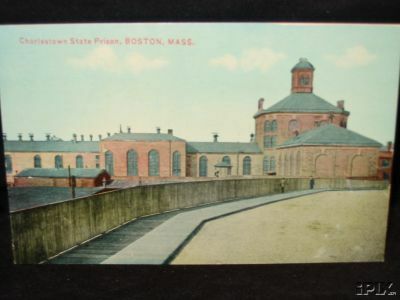 Police suspicions regarding the Braintree robbery-murder and an earlier attempted robbery in Bridgewater, Massachusetts centered on local Italian anarchists. While neither Sacco nor Vanzetti had a criminal record, the authorities knew them as radical militants and adherents of Luigi Galleani. Police speculated about a connection between the crimes and the recent activities of the Galleanist anarchist movement, thinking that the robberies were made to gain funds for a bombing campaign. The two men were arrested in Brockton, Massachusetts on May 5, 1920, after appearing at a garage to pick up a car that police believed was used in the robberies. Both had pistols on them, along with anarchist literature, and Vanzetti was carrying shotgun shells similar to those used in the holdups. Vanzetti was first tried for the armed robbery in Bridgewater and convicted. Both men were then tried for the Braintree crimes and convicted. After several failed appeals over six years, Sacco and Vanzetti were executed in the electric chair on August 23, 1927. Celestino Madeiros, who had confessed to the murders, was executed the same day. New York Times, March 5. 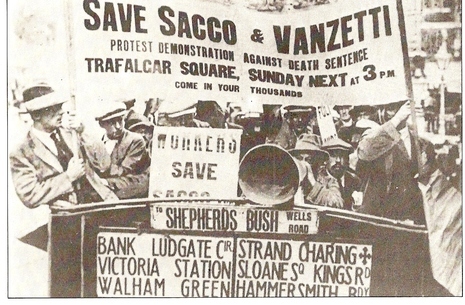 1922: Are Sacco and Vanzetti Guilty?